Tune in and listen to Fred and Lisa as they interview Mark A. Griffin, Chief Consultant for In His Name HR, LLC. The topic will be Mark’s new book, College to Career: The Student Guide to Career and Life Navigation. Listen below online or download the podcast from iTunes here. 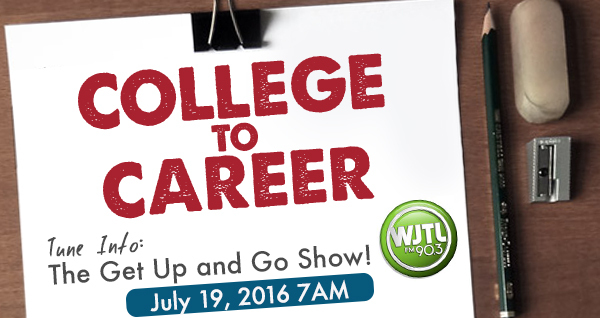 Recorded live at WJTL headquarters on Tuesday, July 19, 2016.